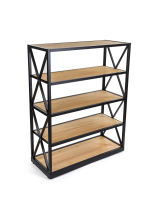 This x-frame media bookshelf is a modern take on a vintage fixture with three tiers for showcasing products or storing your home decorations. 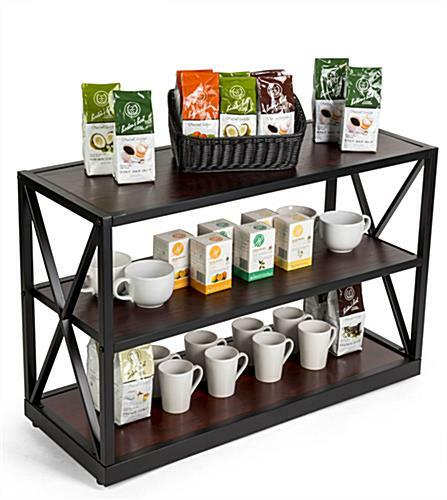 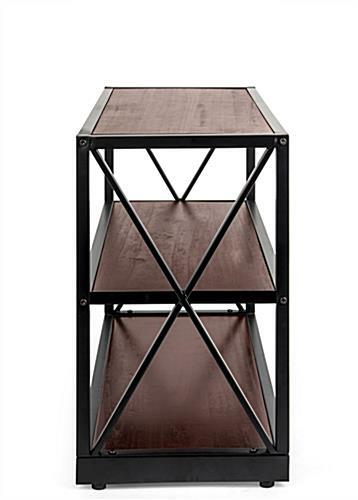 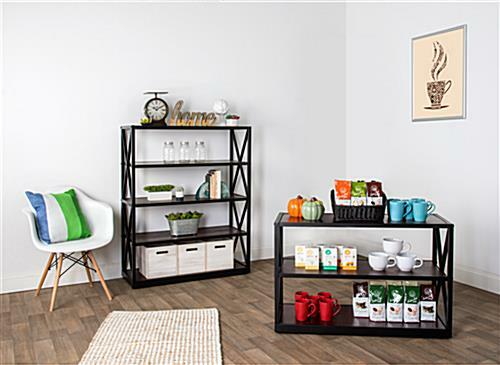 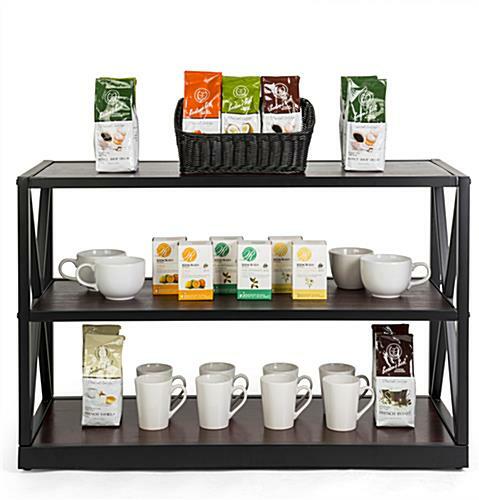 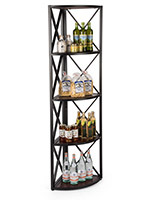 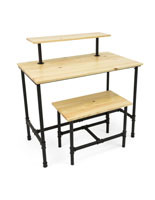 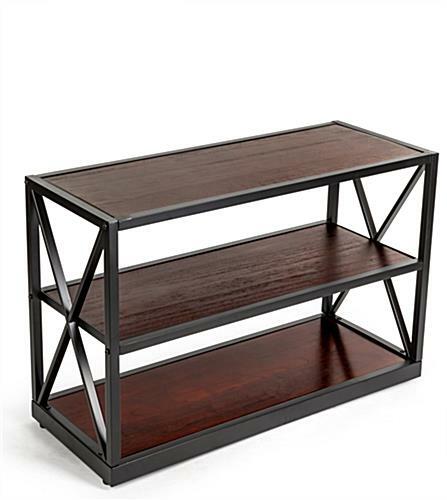 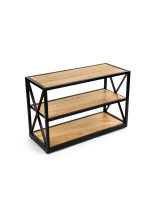 Use this etagere to create an industrial-chic retail display, a rustic-inspired TV stand, and more. 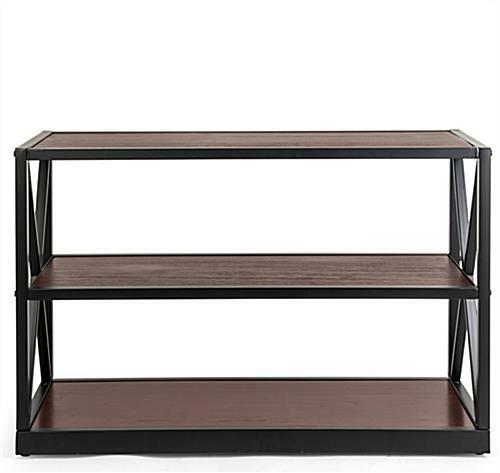 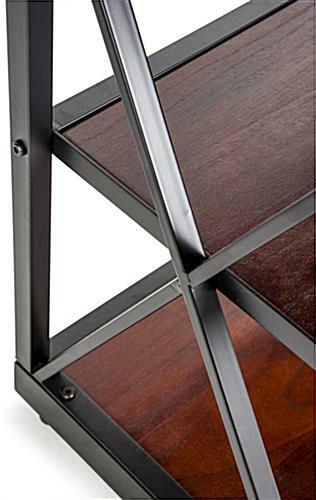 This plank style media bookshelf is constructed from sturdy materials; each of the tiers is made from dark-stained solid paulownia surrounded by a steel support structure. 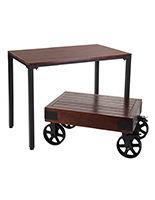 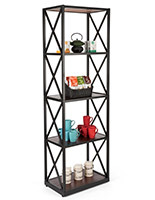 Modern touches like floor levelers bring some quality of life improvements to this vintage-styled etagere. 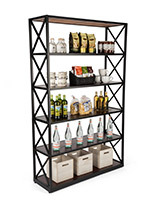 A generous width of 40” allows plenty of space for a variety of items and uses. 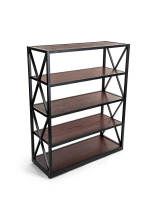 Let the clean lines and open design of this bookshelf enhance the visual styling of your home or business. 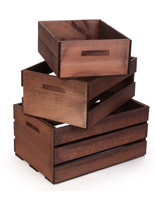 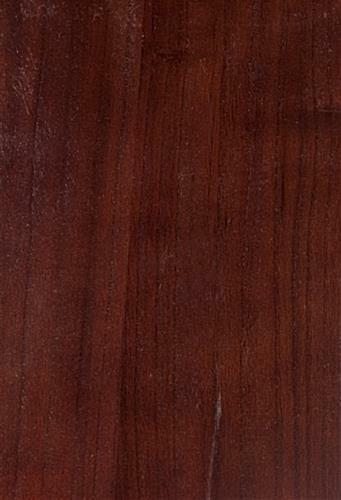 40.3" x 26.5" x 16.0"
37.3" x 1.0" x 14.0"